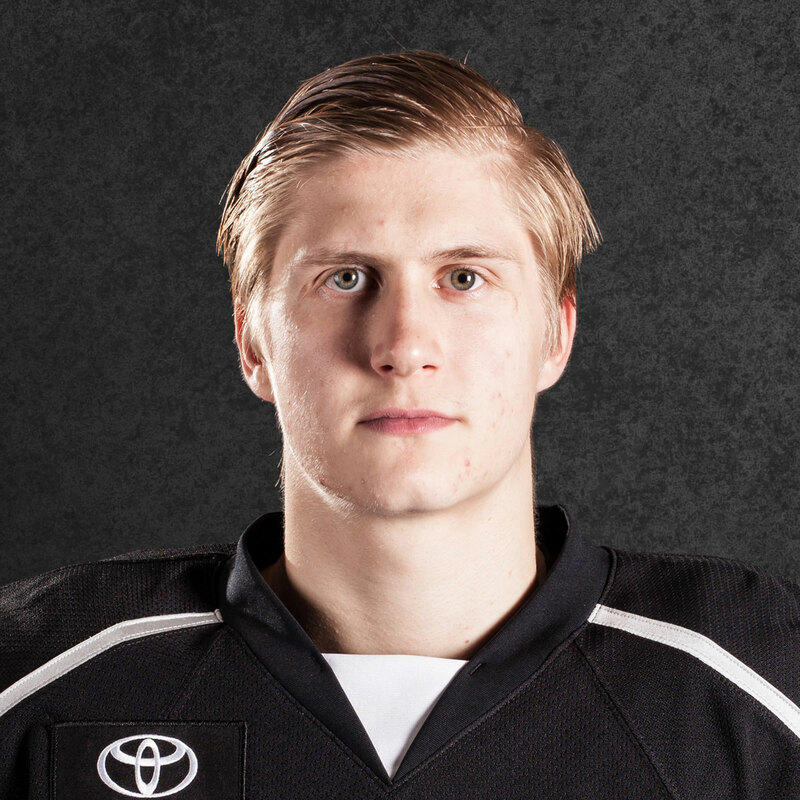 The Background: Alex Lintuniemi joined the Kings organization in 2014 when he was drafted in the second round out of the OHL. 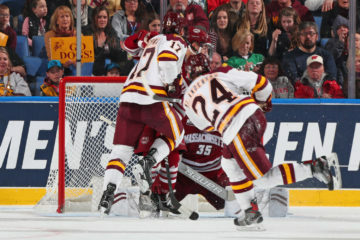 Lintuniemi made his professional debut a year later as he appeared in four games with the Manchester Monarchs, then of the AHL, at the end of the 2014-15 season. 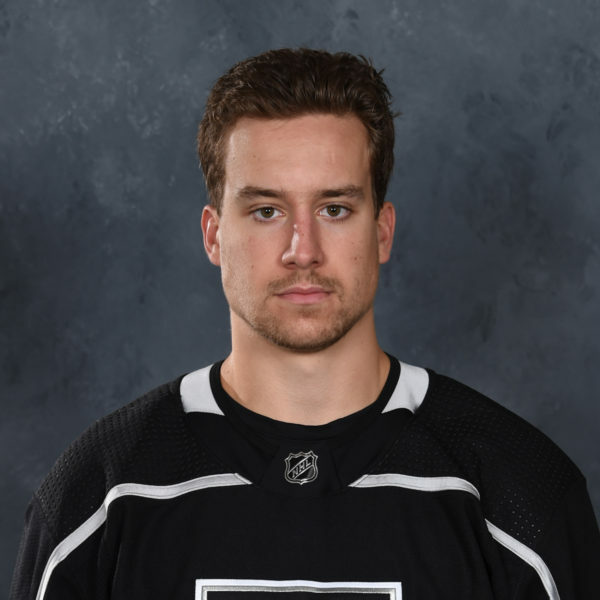 The Helsinki-born blueliner went on to skate the 2015-16 season with Manchester in the ECHL before moving to Ontario in a full-time role for the 2016-17 season. 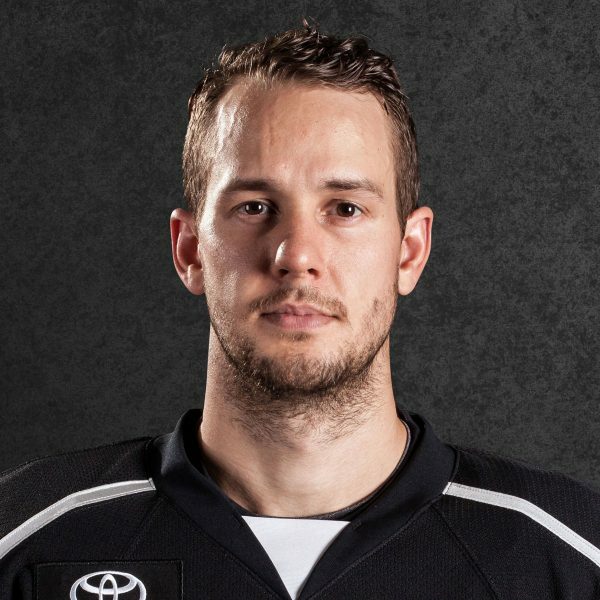 Lintuniemi has now appeared in 158 professional games across four seasons, all within the Los Angeles organization, split between the AHL and ECHL. *Side Note – Lintuniemi is one of six players to play for Manchester in both the AHL and the ECHL. Of those six players, three (Lintuniemi, Maxim Kitsyn and Scott Sabourin) went on to play for Ontario in the AHL as well. The Season: Lintuniemi entered the 2017-18 season on the final year of his entry-level contract as he looked to earn a regular role on the Ontario blueline. Lintuniemi’s scoring can be broken down by several streaks, beginning with three points (1-2-3) from four games in early November after six scoreless contests to open the season. Lintuniemi’s tally on 11/11 went down as the game-winning goal, the first of his professional career. Lintuniemi followed that run with a ten-game pointless drought but returned to post six assists from seven games between 12/15 and 12/29, including his first multi-point game of the season on 12/22 at San Diego. 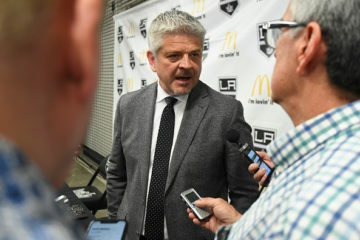 In the 2017 portion of last season, Ontario had a 7-0-2 record in games in which Lintuniemi recorded a point and the 6-2 blueliner posted a +5 rating in those games, as opposed to a -8 rating in games he did not find the scoresheet. The 2018 calendar year began with three scoreless contests for Lintuniemi but the defenseman then collected five points from his next six games, including a pair of goals. Lintuniemi broke his AHL season-high for assists with a helper on 1/12 against Tucson and scored his first AHL power-play goal on 1/13 in a win over Chicago. Lintuniemi tallied again on the man advantage on 1/19 against Stockton to set his AHL season-high in goals and collected a goal and an assist in that contest, the first time he had done so in his AHL career. After five more games without a point, Lintuniemi picked up eight points (1-7-8) from ten games played in a month span from 2/10 through 3/9. 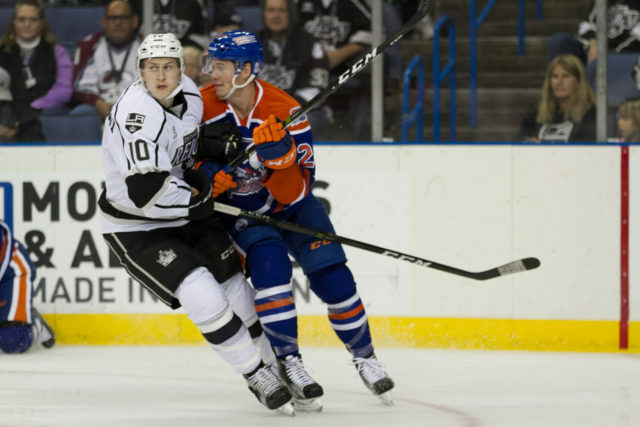 This stretch began and concluded with a multi-point effort as the Reign defenseman tallied a pair of assists in both contests. The blueliner scored his fourth goal of the season, his third on the power play, in a victory over Stockton on March 7, which was also a game-winner. 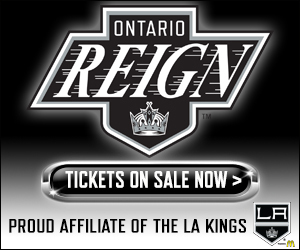 Lintuniemi collected at least one point in 21 games during the 2017-18 season and the Reign posted a 15-2-4 record in those contests, good for a .810 winning percentage. Overall, Lintuniemi set AHL career highs across the board in games played, goals, assists, points and penalty minutes. The Finn went on to skate in all four of Ontario’s games during the 2018 Calder Cup Playoffs and he tallied an assist in both Games 1 and 2. 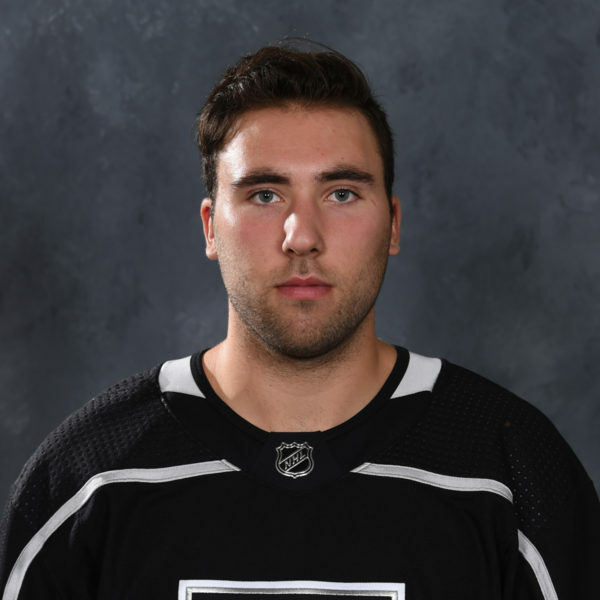 Lintuniemi was the only Reign blueliner to collect multiple helpers in the first-round loss, ranking tied for second on the team amongst all players in assists. Lintuniemi in November on how the defense shaped up from a slow start & being one of the older guys for once. 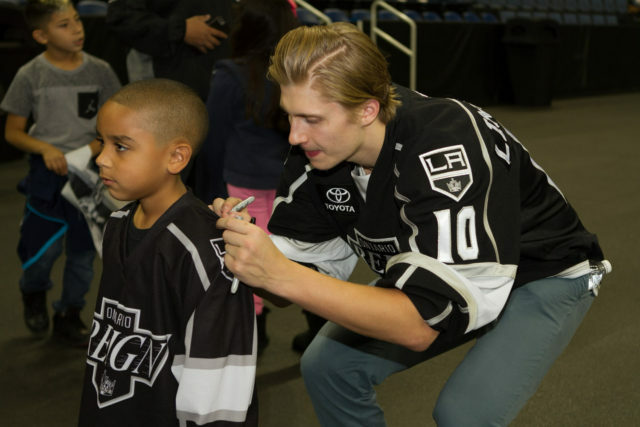 Alex Lintuniemi is a great example of hockey development. 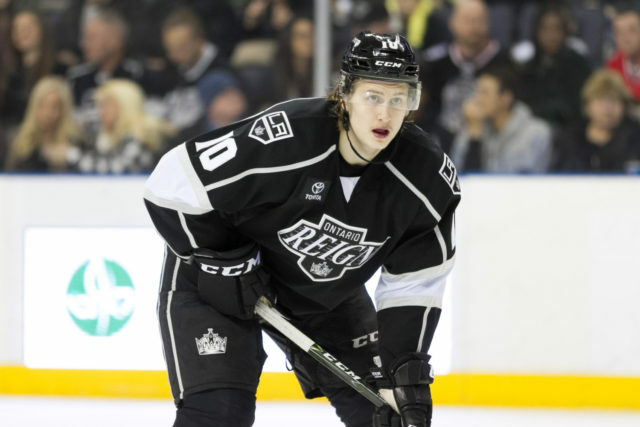 He spent the bulk of his first season in the ECHL with the Monarchs, his sophomore year saw him dress for more than half of Ontario’s games and last year, Alex was a mainstay on the Reign blueline. He’s a solid player on the back end and isn’t afraid to get involved on the rush. He set up one of the prettier overtime game winners last year and has the patience to let the play develop in front of him before he makes a decision with the puck. Like every player, I’m sure Alex is extremely hungry for his NHL chance – if he can build off his strides from last season, he may be close to getting that call. 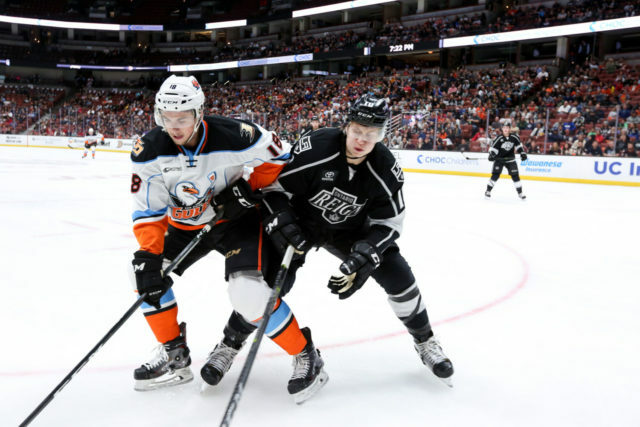 A Look Ahead: Lintuniemi will begin the 2018-19 season on his first non-entry-level contract after he signed a one-year extension with the Kings in July as a restricted free agent. 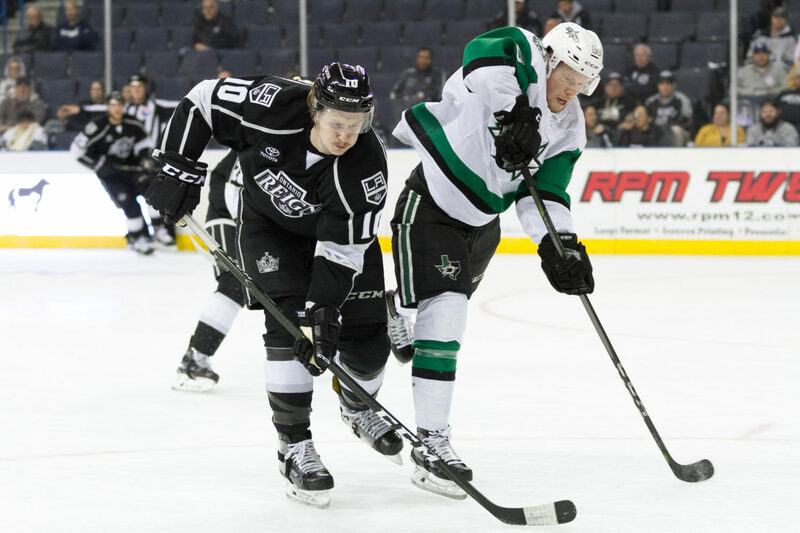 The 6-2 blueliner will be a returning face on an Ontario blueline that could see many of the defensemen that played in the 2018 postseason back for another year. Lintuniemi has three full years of professional experience as he enters his age-23 season and could be one of the more veteran players on a young but talented defensive unit. Lintuniemi will need to continue his development in Year 4, which took a big step in Year 3, to move himself into the crowded defensive picture at the NHL level but as written HERE, he is viewed as a longer-term project that took many positive steps a season ago.